What caught my eye (as I’m sure it caught yours) is the swirl of colours in each of the pans. Each palette will feature a different pattern, as it is a fairly organic design. I know what you’re wondering – are these anything like the Hourglass Ambient Blushes or Bronzer? It does look similar. These powders in the Laura Mercier Stardust Radiant Glow Palette are strictly highlighting powders. They are made of very finely milled powders and very smooth. But they quite clearly add shine to the skin. These are the swatches of the colours to give you an idea of the shine I mean. Are you surprised at how pigmented they are? I was too! I wasn’t too careful the first time, and dipped my brush into the powder, without thinking too hard. The result was of me frantically brushing away colour, and desperately trying to blend the product into my skin. The next time, I was far more careful. With these powders, I recommend that you either use a fan brush, or a duo-fibre brush (once popularly known as a skunk brush) or a very loose brush. The reason is because these brushes do not pick up as much product, and deposit product in a more diffused manner on skin. Then, gently, very gently, tap the surface of the powder. Then, shake it off, before again, very gently, applying to skin. Even then, you might find yourself with more colour than you intend! 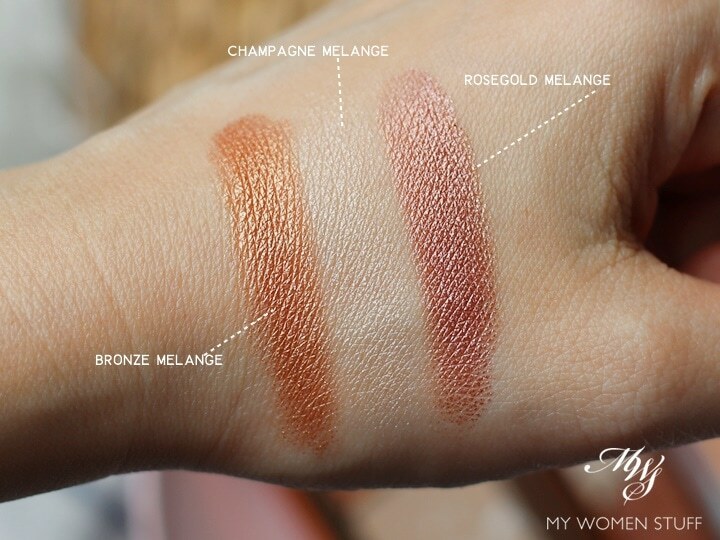 I personally find the Champagne Mélange shade the easiest to handle. The shine is not as intense as the other shades, and it gives skin a nice glowy finish. A little trick is to really buff it into the skin, for a noticeable glow without looking like you’re shining a spotlight on your cheekbones. It has a more candlelit glow to it that I find the most flattering. The other two shades, I struggled with at first. As they are both quite pigmented colours, I found them showing up too strongly on my skin. I have a very fair skintone, which might explain why I struggle. For those with a deeper skintone, you may find that these colours give your skin that right amount of burnished glow that is very flattering. But I soon realised that they could do double-duty as eyeshadow! You can easily swipe just one colour on your lid, blend it out, and then line with a dark eyeliner, for a very quick and simple look. I don’t find the powder to stray, so it can be quite flattering. I have the Bronze Mélange buffed along the sides of my face, with the Rosegold Mélange adding a tiny little pop of pink tint to my cheeks. I do have to go over everything with a brush to ensure it’s all nicely blended, and buffed to look natural. But I do like the way the shine looks in pictures. In person, it looks a little more “wet” so you do look like you have been sweating a little even if you haven’t. But under indoor lighting, it does look quite flattering. That said however, this isn’t my favourite face palette, for the simple reason that I’m not very much into using highlighting powder or shiny powders. I like an understated glow. But when I have to work a little more at it, I tend to lose interest. 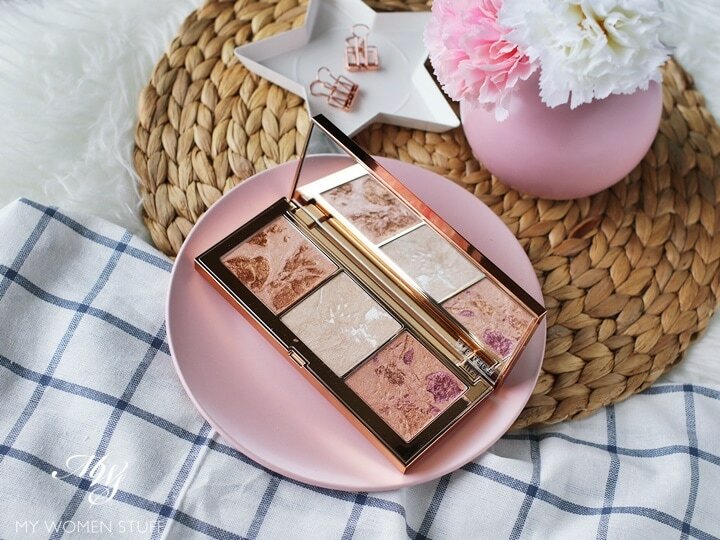 The Laura Mercier Stardust Radiant Glow Palette is limited edition, with beautiful packaging. The white cover with the rose-gold accents is very attractive and it does have a good heft to it. But as I said right at the top, you must enjoy using highlighting powders. 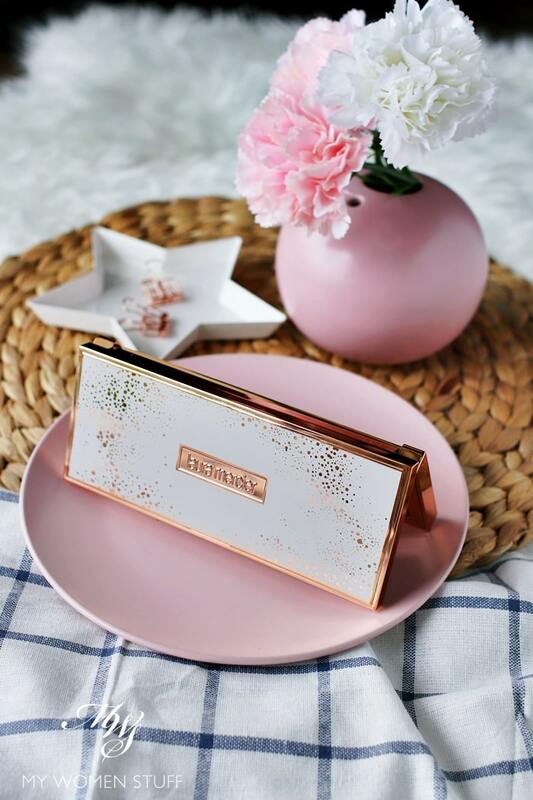 The Laura Mercier Stardust Radiant Glow Palette is a limited edition highlighting palette for the City of Lights Holiday 2018 collection. You get a trio of generous sized pans of highlighting powder – a warm bronze powder, a champagne powder and a rosegold pink powder. The texture is very fine and soft, and the pigmentation of colour is very intense. So is the shine. For this reason, unless you want that sort of bling that draws attention from a mile away, I recommend a very light hand, and the right brush. I’d personally pick a fan or duo-fibre brush, or a large fluffy, loose, brush so you do not deposit too much product on skin. The intensity of colour also allows you to use the powders on eyes, so you could, at a pinch, use this as an all in one face palette. Get it right, and you will be blessed with a lovely glow on your skin. Get too much of it, and you may risk it looking patchy and splotchy. So blend, blend and blend! 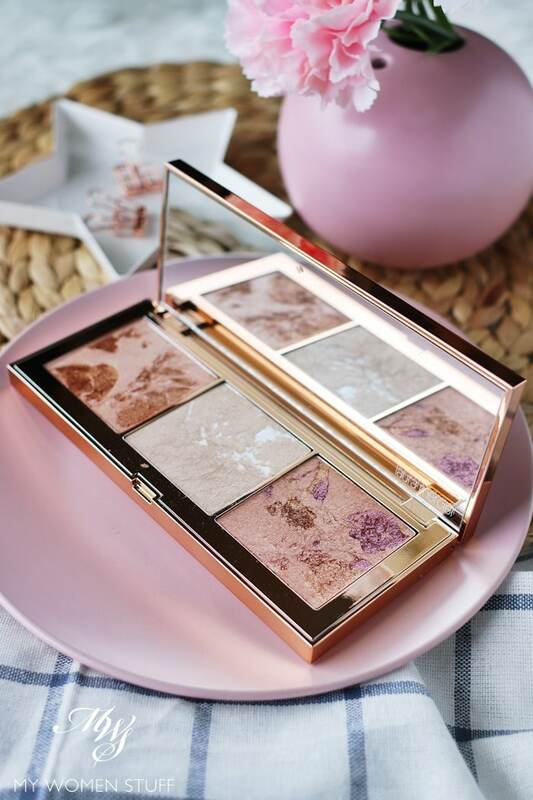 Did this Laura Mercier highlighting palette catch your eye? Disclosure: Featured product was a gift from a product launch. Our commitment is to honesty and fairness. For review guidelines please read the disclaimer. NEXT POST: Your Say: Can the colour of your wallet affect your spending habits? The ones on the left and right look SO INTENSE. I would definitely give myself clown face. Hi, im not paris lol but i ve suggestion u ve fair skin so both of d pigmented shade shade can b used as eyehadow ? or u can Use a loose fluffy brush to add as a blush topper. I did the first time! LOL! A lot of work getting it to look good. But it works as eyeshadow too which is a saving factor. That said, considering it’s meant to be a highlighter palette, I do wonder why they made it so intense and pigmented! Looks very pretty, very intense. Have you ever tried The Balm Marylou Manizer? Best Budget highlighter I know. I have EL x VB Modern Mercury, but I actually reach for Marylou Manizer much more often. Ooh yes I totally agree with you about MaryLou-manizer! It is so good and absolutely the best quality affordable highlighter out there. Aside from Catrice which also makes (made? I haven’t looked in a while) some good quality highlighters too. Catrice is quite underrated for a budget brand. I have often been pleasantly surprised by their face products! Hope your day goes well! I have heard of Catrice, not sure whether it’s available in Switzerland. I recently tried a Smashbox primer (just on my hand, not on my face) and was intrigued. There are some really good high street products out there. Catrice is a super budget brand that I think is available in Switzerland because it’s French or European 🙂 Of all the super budget brands I’ve tried, it is the one that stands out most for me. Better than Essence. I’d used Smashbox Primer back in the day. It felt too silicone-y for me. But it holds makeup like a champ! And you are right, the low to mid-price range of makeup has improved greatly in recent years. And it looks like skincare might even be catching up although luxury brands always have the draw factor! TBH, I often think how glad I am that I was young in the 90s, before there were Instagram Makeup and influencers. I love make up and like to splurge if it’s worth the cost. But if you haven’t got the money and you see so many expensive recommendations, it might be hard to resist. Especially if you’re young and insecure. Came across your blog post when trying to find if any retailer still had any in stock. Unfortunately, this palette has now sold out and after reading your blog post I am even more gutted I missed out. I Thank you for posting this review, I really enjoyed reading it!